Carolina Family Vision provides eye care in Holly Springs, NC and Raleigh NC. Whether you want the latest designer frames, eyeglasses and sunglasses or need to be fit in today’s newest contact lenses, Carolina Family Vision has what you are looking for. 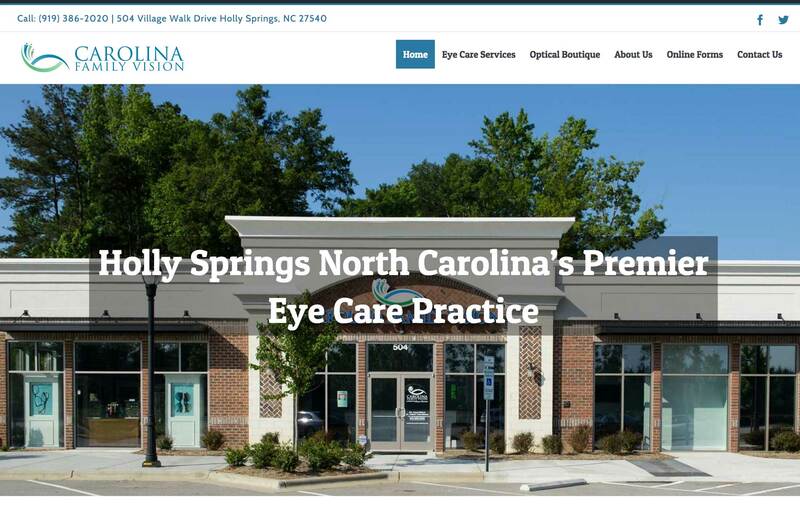 Carolina Family Vision provides eye care in Holly Springs, NC and Raleigh NC.